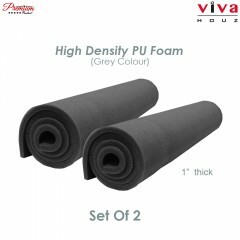 Viva Houz Multi-purpose PU Foam Sheet (known as Polyurethane Foam) is a flexible, open-cell foam. 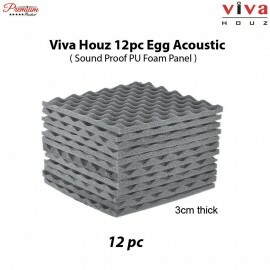 PU Foam is resilient and has many applications as follows:-- Packaging- Cushioning- Sound/Shock A..
Viva Houz 12pc Egg Crate Acoustic Sound Proof PU Foam Panel helps to reduce noise as it removes echoes and background sounds not by blocking the sound but by absorbing it. The Convoluted or egg cr..